Welcome to another Fortifying Friday. 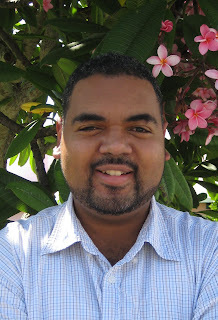 Author Kirk Outerbridge recently won the Carol Award (presented by the American Christian Fiction Writers) for speculative fiction with his debut novel, Eternity Falls. We’re so pleased that he’s here today, sharing his journey to publication. My first novel, Eternity Falls, was actually not my first novel. Like many authors, the one that got published was actually my fourth attempt. The ones that came before I know will never be published. Looking back, they just weren’t good enough. But never would I consider them written in vain or time wasted. They were my doodling pad, teaching me the craft of writing and more importantly it was proof to myself that I could write a novel length piece of fiction. So don’t wait for success with your latest work before you start your next one. 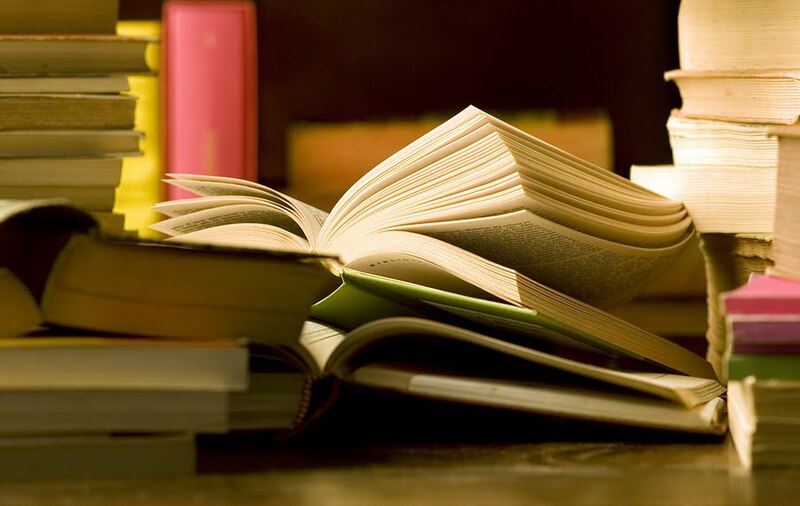 Each book is like a milestone of growth and the faster you get on to the next one the quicker you will grow. I began Eternity Falls after rededicating my life to Christ and I firmly believe this is my sole reason for success. It took over three years just to complete and was transformed several times through the input of editors, critique groups and reviews. Because I didn’t know a lot of writers locally, I used Writing.com which was a great resource to receive instant feedback every time I posted a new chapter. This was both encouraging and helpful in finding out what worked and what didn’t. After completing the manuscript I spend another two years trying to get it published. I was quite blessed to find my publisher Jeff Gerke and Marcher Lord Press. There are virtually no Christian publishers who would take a story like mine to press, even if they liked it. The market just isn’t built around Christian Speculative fiction. After a couple rejection letters from the general CBA market I stumbled upon http://www.wherethemapends.com/ the Christian Spec-fic website run by Jeff Gerke. I felt as if I had finally found my tribe—a group of people who had the same passions as mine. I got involved and got to know the community and then Jeff announced his idea to launch Marcher Lord Press. I knew then that this had to be God working. I submitted my work to Jeff and he actually liked it! My manuscript didn’t get published right away, but the response I got encouraged me. So I stopped work on my second book to polish Eternity Falls some more. Eventually it all happened and I landed my first publishing deal. One point to note is that a big part of getting published is the validation it brings, in fact, in this tight market it could be the only thing it will bring. The publishing world is changing. Few are the times where a traditional publisher will take a chance on an unknown. Only small print on demand based publishers are willing to take risks these days—because they can afford to do so. My best advice and encouragement is to not write with the goal of getting published. i.e. don’t view writing as a means to an end. If you get published great, but if you don’t, don’t view that as a failure. Just keep writing what God put in your heart and keep honing your craft. Don’t try to write for the market. Keep learning and keep your eyes open for opportunities. God will send them your way, but only when you and your writing are ready. Kirk Outerbridge lives with his wife and two sons in Bermuda where is employed by the Government as an engineer. He is winner of the Carol Award for speculative fiction with his debut novel Eternity Falls. 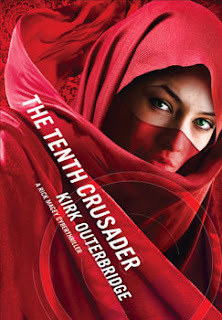 His novel, The Tenth Crusader, was just released this month. I am. It’s good to make plans. Without some kind of plan, not much would get done. As a writer, I’m a plotter. I need to know how my story will begin, how it will end, and how I’ll get from one point to another. When I go to a writers conference, I prepare my pitch and one sheet, and I decide in advance what editors or agents I want to meet. When I started my freelance editing business I didn’t just quit my day job and jump in. I spent months networking and asking questions. I took online classes to learn more about both editing and business. My husband and I took our finances into consideration; we thought through the feasibility of me working from home. Having a plan makes me feel comfortable. I know—or think I know—what to expect. I hold onto the illusion that I have control over what happens. The reality is that God is in control. I can plan a desired course, but the Lord will still determine my steps. In my heart I wanted to be home doing what I loved. My husband and I wanted more balance in our lives, which included more time for each other. Leaving the day job was a way for that to happen. My husband and I originally planned for me to leave the day job at the end of this month. That was our plan. Last March, some things fell into place, we felt led to move on our decision sooner, and my husband told me to give my notice. So, instead of leaving the end of October, I left the day job the beginning of April. I know what I want to accomplish in my heart for my business, but it’s not only my business—it’s the Lord’s. He’ll continue to bring the right clients for me at the right time. My heart has desired to see my novels published and I work hard toward that goal. It’s up to Him how and when. It could be next year, or it could be years from now. I am a planner. I do have dreams. But, I’m also sure relieved that God is leading the way! Welcome to our new feature. Each week I (Ocieanna) post a few sentences with grammar, punctuation, spelling, or other writing misdemeanors. Your job is to find the infraction and set it right. If you possess the courage, you’re welcome to post your corrections in the comments, or you may simply keep your grammar to yourself. Then next week, I’ll post the answers. 1) I asked a friend “Are you enjoying Grammar-O”? 2) I’ve been doing alot of editing this week. 3) Its always interesting to discover the various mistakes people make in they’re grammar usage. 4) Every one seems to veer off in different ways. And that goes for me too! 5) Even though I must keep a close watch for grammar errors everyday writing this blog has been a good refresher for me. 1) In our home-school lessons, we’ve finished are unit on the Dark Ages. Correct: In our homeschool lessons, we finished our unit on the Dark Ages. Tip: “We’ve” is technically legal, but it’s usually better to cut “have” whenever possible. However, if you left it as “we’ve,” don’t mark yourself wrong. 2) Conquerors of the Roman Empire, my children loved learning about barbarians. Argh! Correct: My children loved learning about the barbarians, conquerors of the Roman Empire. Argh! Tip: To avoid confusion (my children are wild, but I wouldn’t call them barbarians), keep your modifier near the word modified. 4) My kids did a skit called Baldur the Good. In it, Baldur a Viking mythological figure says about his relatives throwing stones and arrows at him, “It feels like a shower of flowers”! 5) Finally, we learned about the battle of Hastings. Irregardless of there might, the English couldn’t hold against William the Conqueror. Correct: Finally, we learned about the Battle of Hastings. Regardless of their might, the English couldn’t hold against William the Conqueror. Tip: Irregardless is not a word. Another way God turns the pages in our writing lives is by giving us new projects. What if you’re a published writer who found your niche writing chick lit a few years ago? Now, the market has dried up, and you’ve had to find a new project—a new genre. Sometimes, timing clicks and writers get to begin a new project. Maybe God’s been leading us in a certain direction, and we’re finally at a point we can move there—try something new. Like screenwriting or YA. Maybe what we’ve always wanted to write is now possible—like spec fiction. The opening of new doors can make things possible which weren’t before. Sometimes the open door coincides with a project we’ve always wanted to do. Or sometimes working on a new project will help us practice our writing craft as well as give us time and space from the last project. That way we’ll be more effective when we return to that first project for editing, rewriting or just plain old evaluating. And sometimes a new contract determines a new project with its own set of deadlines. What page are you on? Where does God have you? The key is to write what God gives you and trust Him with the timing, both for that project and the next. The Author of our faith is simply keeping things interesting as He turns the pages of our writing lives. Susan May Warren is here this Manuscript Monday to continue our series on spiritual threads. For the next three MM's, she'll offer some practical advice on portraying our protagonists' inner journeys. Welcome, Susan! As a reader, I don’t want the spiritual plot to be so thick that it strangles me—and as a writer, I don’t want to strangle my reader. I want the story to intrigue, to draw my reader deeper, to allow them to look at the issues and wrestle with them without feeling as though they are told what to believe and think. I want a journey for my character that feels unique, and yet personal—both to the character, and ultimately for the reader. Every story has a character on an inner journey—that’s actually the point of the journey—to teach your hero and heroine some truth that will change their lives. Even for general market books, a character is on this journey—they just don’t point to the source of truth. As you’re writing your book, you might start out with a truth you want to reveal. Or, you might start out on the journey, not sure where you’re going to end up. Either way, you need a game plan on how you are going to get there. In plotting my stories, you know I often start with a story question – and the same thing goes for the spiritual thread. Knowing your hero’s dark past will help you understand their lie. start by going to that dark moment in their past and ask: What lie do you believe from that dark moment? The lie will lead you to the most important question in the interview: What holds them back from a relationship with God? Try and boil it down to one sentence. In my book Happily Ever After, my heroine, Mona needed to trust God and forgive herself (accept God’s forgiveness). My hero, Joe needed to forgive his father. In Francine Rivers’ book, Redeeming Love – Angel needed to accept God’s unconditional love and forgiveness, and then see Hosea as God’s instrument to love her. Wolfgang Jager grew up in Iowa---but he's fighting on the "other" side in World War II. And Esther Lange is trapped by her own battles. When Wolfgang is captured and sent to a Wisconsin POW camp, he's relieved---until he's accused of murder! 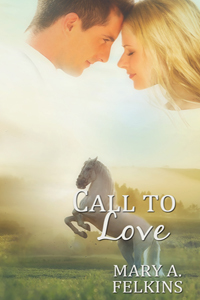 Can faith save him and the woman he loves? 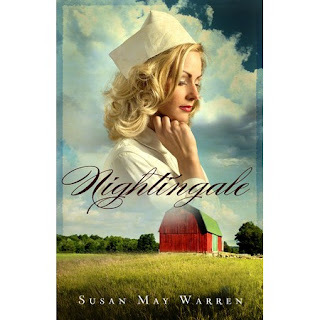 To learn more about Susan and her books, visit her Web site. 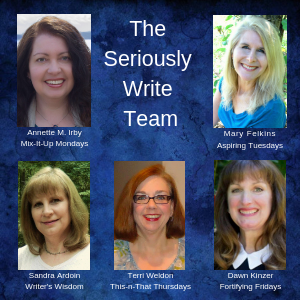 Welcome to another Fortifying Friday—the day here at Seriously Write when we focus on the writer’s journey to publication, and offer encouragement as we go into the weekend. Today, author Sandra Byrd challenges and encourages us to embrace the joy we’ve discovered through writing. Enjoy! I imagine that at one time you starting writing because you liked writing. You had lots of running through your mind. Maybe you were frequently distracted at inopportune moments by a thought you wanted to blog, a plot point you didn't want to forget, or a devotional that came straight from God's fingertip to your head and heart. You thought in similes, noticed all five senses. Delightful! What are four fun things you’d like to do, which bring you joy, and which have no connection at all, with your writing? Unless you’re on deadline, don’t write anything till you’ve done 2-3 of these fun things. Even if you ARE on deadline, do at least one in the next two weeks. No fun for the writer, no fun for the reader. Commit to play! Write something for free every month as an act of kindness, using your gift solely for the benefit of others. Ideas? 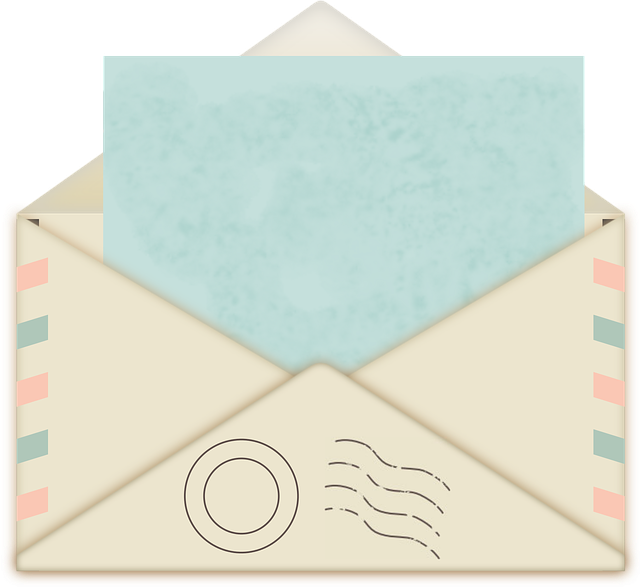 Can be letters of encouragement, a promo for a friend, a book review on a book you loved (but are not obligated to review), a memoir for your spouse, etc. Write in a new genre, or about new topics, even if you don’t plan to submit it, as an act of creativity. Usually write nonfiction? Write a free form chapter. Usually write fiction? Write a letter to the editor. Submit to markets you’ve been afraid to try as an act of creativity and faith. Where would you like to have a piece published but have been intimidated to query? Which agent would you like to query? How about a small, but meaningful, periodical? What motivated you then? What motivates you now? How can you get back that loving feeling? 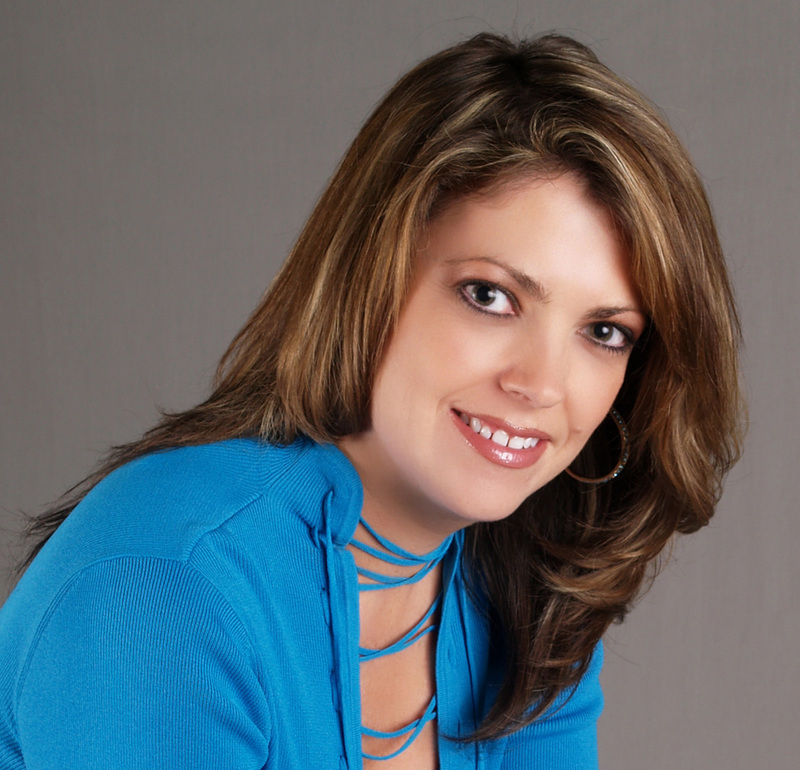 Sandra Byrd is a bestselling novelist of books for women and teens/tweens as well as a writing coach and mentor. Please visit her website at http://www.sandrabyrd.com/ to learn more about Sandra and her books as well as sign up for her e-postcard to keep in touch! On a scale of 1-10, where does your level of peace lie today? Are you worried about how the kids are doing in school? Your day job? The spouse’s job? How you’re going to pay the stack of bills sitting on the counter? When it comes to writing what fears do you have? C’mon . . . you must have at least one. The first time I sat across from an editor at a writers conference, I was petrified. Though I'd prayed in my hotel room prior to the meeting, my heart pounded, begging for release. I was afraid of saying the wrong thing, of being rejected, of making a fool of myself. But the editor was kind and made me feel comfortable. And after he expressed interest in my novel and asked for a proposal, I walked out of the room with a smile on my face. I used to be afraid that my stories would never be published. I also feared that my family and friends would think it foolish to spend so much time and energy on what some perceived as a hobby—wishful thinking—a fantasy. But with time and small successes, they began to take me seriously. Once published, authors may fear their work not living up to other people’s expectations. Poor sales. Bad reviews. Not getting the next contract. Marketing and keeping up with social networks, blogs, book signings, and dealing with more deadlines can feel overwhelming. If we let them, our fears can go on . . . and on . . . and on. They can paralyze us. I’ve seen it happen with a few writers. They’re afraid of failure. And they’re afraid of success. But, we're not to be troubled. John 14 tells us that God offers peace. All we can do is work as hard as we can, and leave the rest up to God and His timing. We don’t have to do it on our own. And no matter how discouraging things may look today—or tomorrow—God is still in control. Well, despite my somewhat whiny rant last week, we’ve had lovely fall weather in the Pacific Northwest. (Did you notice I didn’t capitalize “fall”? Seasons are not capitalized, even your favorite. :-D ) The temperature even reached sixty-five degrees today! Amazing. For our family, despite the idyllic conditions, history lessons prevailed and we plunged into the Dark Ages. What better topic for grammar? Ready for some more fun? 1) When I think of Fall I don’t imagine multi-colored leaves. Correct: When I think of fall, I don’t imagine multicolored leaves. 2) Carving pumpkins, bundling the kids in sweaters, to make apple cider—these don’t hop to mind either. Correct: Carving pumpkins, bundling the kids in sweaters, making apple cider—these don’t hop to mind either. 3) For me living in the Seattle area fall means rain. Correct: For me, living in the Seattle area, fall means rain. 4) Falls the beginning of a dark, cloudy, dreary, cold, drizzly, and long months till spring. Correct: Fall’s the beginning of the dark, cloudy, dreary, cold, drizzly, long months till spring. 5) But I’ll admit, a writer often works more diligently on their manuscript when the gloomy cold keeps them inside. Correct: But I’ll admit, a writer often works more diligently on her manuscript when the gloomy cold keeps her inside. Also acceptable: But I’ll admit, writers often work more diligently on their manuscripts when the gloomy cold keeps them inside. Got me thinking. A couple years ago, I don’t suppose Jim imagined he’d be spending a day with Paul Young, signing books at the same table, after occupying the same stage. Because his book Rooms has been so successful, he’s had access to more public arenas in 2010 than perhaps he’s had all along as a writer. (Thanks, Jim, for letting me use you as an example. *smile*) New arenas have affected his writing life, opening up his sphere of influence. And his writing opened up these new arenas in his life. I attended my first Mt. Hermon conference in 2005, I didn’t know many people. In fact, it’s probably safe to say, I only knew a handful of fellow conferees. I didn't yet belong to ACFW. Never attended a large writer’s conference. Okay. I knew Steve Laube. He’d been at a small-scale conference in Seattle as an editor (then). But now, through ACFW, Facebook, blogging and book reviewing, I’ve met many, many Christian writers. Just ask Dawn, recruiting for Seriously Write keeps us connected, networked. I found my first book publishing opportunity through ACFW. See that? New arenas opened up new writing opportunities. After that book was published, I was able to participate in a huge booksigning at the Mall of America a couple of years ago. Writing leads to new arenas. Another arena may be speaking engagements. Perhaps you started as a writer, but now you also have a speaking ministry. New arenas affect our writing and our writing brings us into new arenas. It’s another way God turns the pages of our writing lives, keeping things interesting, connecting His kids, giving us fellowship with other writers, as well as readers. And now, taking center stage of the arena: you! This Manuscript Monday, we're continuing our series on including spiritual elements in our writing. Have you ever thought of including allegories in your writing? This is Denise Hunter's specialty. Please welcome her today as she shares some very helpful tips. Allegory--a story, poem, or picture that can be interpreted to reveal a hidden meaning. An allegory can be a subtle yet powerful way to offer insight, spiritual or otherwise. Should you use allegory in your story and, if so, how do you incorporate it effectively? Think about it: Jesus used allegories to teach. He called them parables. The story of the prodigal son comes to mind. You can use an allegory to highlight a point in your story or you can build an entire story around an allegory. Let me explain. In Driftwood Lane, circumstances beyond her control force Meridith from her comfortable home to a dilapidated bed and breakfast in Nantucket where she must become guardian to three siblings she doesn’t know. I chose driftwood to represent Meridith. Ironically, her father, who had abandoned her, was a sculptor of driftwood. Some time in the past it had been pulled from its home by a storm and spent heaven knew how long drifting aimlessly before reaching shore. Only to lay here, discarded for months or years. Allegories can also be used in broader ways. In Surrender Bay, my goal was to show that God will never leave us. I used the love story between the hero and heroine to demonstrate this. Samantha has been abandoned by everyone she loves and is now afraid to love and trust. 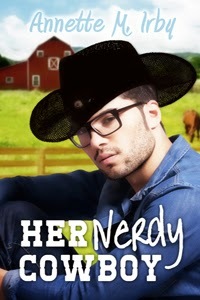 The hero, Landon, loves Samantha unconditionally. Samantha represents us, always pushing God away, and Landon represents God, always loving, always wooing. No matter what Samantha does, no matter how much she rejects Landon, no matter how much she hurts him, he continues to love and forgive her. He pressed a tender kiss to the top of her head, and she melted. Why can’t life be like this? Why can’t I stay here forever and let him love me? Only when he held her did she realize she was a starving beggar, and he was the bread she so desperately needed. Most Christians know that bread is a symbol for Christ. When writing Surrender Bay, I actively sought symbols used in the Bible and ways to use those symbols when referring to the hero. The trick is to use enough symbolism to clue the reader in without overdoing it. I love using allegory in my stories. But if you choose to do so, be aware that no matter how well-handled the allegory, not every reader will pick up on it. For those who do, though, the story becomes a much richer experience, and the spiritual content becomes more meaningful. Denise's latest book, Driftwood Lane, released in June, 2010. Meridith can handle anything: guardianship of three distant siblings, a dilapidated Bed-and-Breakfast, even an ever-present handyman who's dismantling more than her fireplace--or can she? When the death of Meridith's estranged father leaves her with custody of three siblings she's never met, she reluctantly goes to Nantucket to care for them--but only until their uncle returns from his trip. Little does she know, the uncle is already there under the guise of her friendly handyman, with plans of his own. 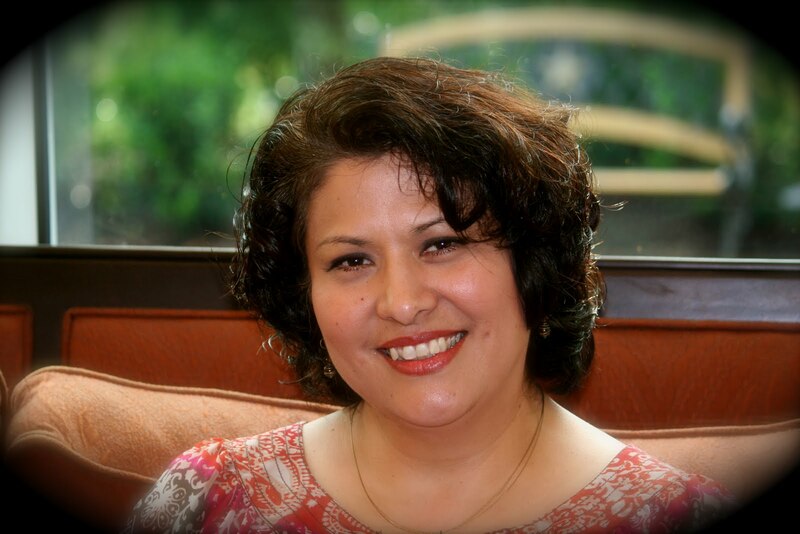 Learn more about Denise and her writing at her Web site. Author Jamie Carie visited Seriously Write in September and talked about character development and how she handles “stubborn characters.” Today, she’s returned to share some pieces about her own journey to publication and experiences while attending the recent American Christian Fiction Writers conference. Welcome back, Jamie! This fall I attended my first ACFW (American Christian Fiction Writers) conference. I'd heard that this was THE place to attend if you wanted to break into the CBA fiction market, and I have to say that between this conference and Mt. Hermon, they were probably right. Back when I was trying to break into publishing I don't believe the ACFW conference existed (the internet was just getting up and running so that tells you how long it has been!). But I did everything that I could to help myself learn about this business: I joined a local group of writers who were very kind to me and helped me learn the basics of POV, dialog, and plotting. I scoured the library shelves (Writer's Market Guide) for information on romance publishers and took extensive notes about each pub house. I was a big fan of Romantic Times magazine and the RWA (Romance Writers of America) organization. 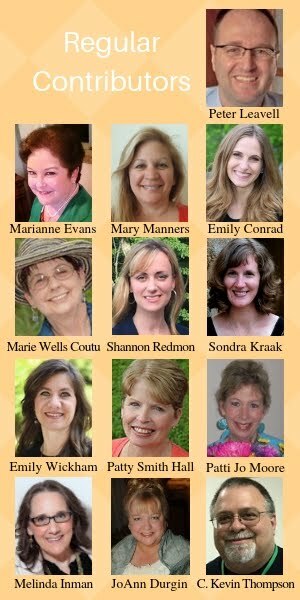 I attended a couple of smaller writing conferences (http://www.writehisanswer.com/) and a RWA conference when it was in my hometown. I remember Brenda Joyce was the speaker and I thought she was the most glamorous women I had ever met! I complimented her in the hall at the Omni Hotel and she asked which book I liked best. I blanked. Totally blanked. Couldn't remember a single title or character name from any of her books that I had read. Finally I said, "oh the one with Fabio on the cover!" LOL! Wow. Was that embarrassing. But I digress. I have to say that I would highly recommend going to the ACFW conference if you are looking to break in to CBA publishing. There were lots of big name authors there (I met James Scot Bell!). All of them were very friendly and willing to give advice to anyone who asked. More importantly there were editors from almost every CBA publishing house and several agents. Everyone I spoke with who had an editor or agent appointment was asked to send in a full manuscript and they were so excited. It reminded me of the time I drove three hours in the early morning to Ft. Wayne, Indiana to sign up for an editor appointment (it was first come first serve) and then drove home. The next day I drove up again, early in the morning, to attend the conference as after paying the conference fee I couldn't afford to pay for the night at the hotel. Whew! When I got that editor appointment and was asked to send in the full manuscript for Snow Angel, I was thrilled! It ended up going all the way to committee, but wasn't accepted at that time as this pub house didn't publish very much fiction. Ironically, it was an editor from B&H who years later decided to ramp up their fiction department and I was the first one signed to spearhead the new program! I'm saying all of this to say, I know conferences are expensive (pray and trust God for finances!) but they are a great way to bypass the catch 22 that says you can't submit to a publishing house without an agent, and it's almost impossible to get an agent. Conferences provide that opportunity to make connections, learn about the business and craft side of writing, and hopefully score that golden ticket - a request to submit your work, rushing you past the slush pile and into the hands of an editor who just might be very excited about your story. So give it try and if you see me (I'll be the one not being sensible in high heels) say hello! I'd be glad to help you along on your road to publication. Jamie Carie is an inspirational fiction novelist who believes in the power of “story” to touch hearts and change lives. She is the author of Snow Angel, a USA News Book winner for Best Romance of 2007, a ForeWord Magazine award winner and a RITA Awards® finalist. 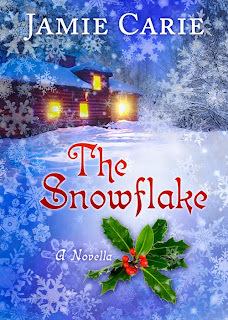 She is the author of several historical romances and her first novella, The Snowflake, in stores now. Jamie lives in Indiana with her husband, three boys and a giant of a dog named Leo. The sun is shining. Squirrels are scampering in the trees outside my windows, preparing for what's to come. Fall is my favorite time of the year. I love the crisp air and bright autumn colors. Our generous God has given us a variety of seasons to anticipate and enjoy. There's something to appreciate about each one. 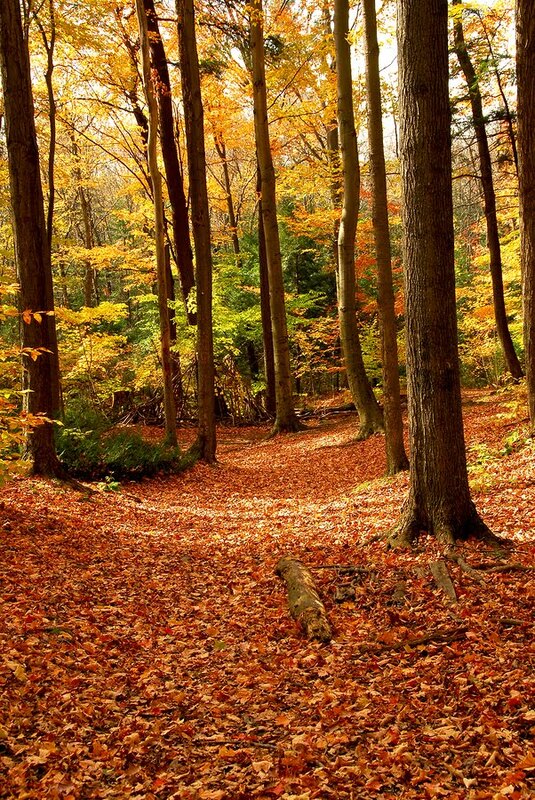 Fall provides a reprieve from hot summer temperatures and provides a stunning palette of color throughout nature. Although winter can be cold and dark, newly fallen snow can also be bright and dazzling. Ice-covered trees and long icicles can make us feel that we’ve entered another world overnight. And what’s not to like about curling up with a good book, hot chocolate, and a roaring fire? 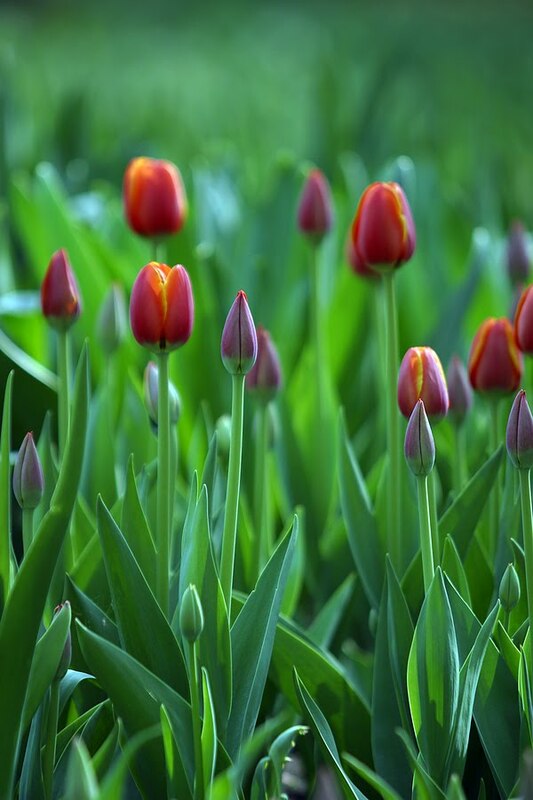 Spring releases us from confinement and reminds us that each day provides a new beginning. Warm wea ther, picnics with friends, hanging out at the beach, and vacations with family are things associated with summer months. People renew and energize for what’s to come. 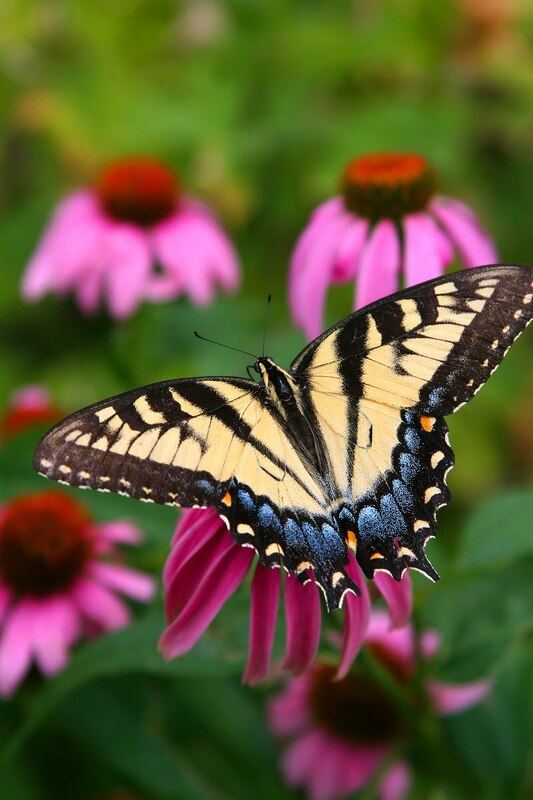 We experience personal—or life—seasons as we grow from infancy to adulthood. Time spent as a child, teen, young adult, middle-aged person, and an elderly person all has its challenges and blessings. As writers, there are seasons to learn all that we can, and seasons to write all we can. Seasons to submit our work, and seasons to wait. Seasons to be published, and seasons to not. Seasons to focus on our careers, and seasons to focus on our families. Seasons to work hard—and seasons to rest. No season is better than the other. Each has a purpose under heaven. In which writing season are you living? Enjoy it and look for the blessings it provides. Happy Wednesday, grammarians! Last week we started a new feature here on Seriously Write called Grammar-O. Each week I (Ocieanna) will post a few sentences with grammar, punctuation, spelling, or other writing misdemeanors. Your job is to find the infraction and set it right. If you possess the courage, you’re welcome to post your corrections in the comments, or you may simply keep your grammar to yourself. Then next week, I’ll post the answers. Here are the corrected ones from last week. 1) I’m a writer. I love to write. I wish I could spend every day writing! Then what would my family do without me? Correct: I had double-spaced after the punctuation, but when this one was uploaded onto the blog, the problem corrected itself. So if you didn’t find anything wrong with this sentence, you were right. But take the warning! No double spaces after periods, exclamation points, or question marks. Trust me! 2) Fiction is my favorite (I like other genres, too. I just like fiction best). 3) Three Taylor’s and two Megan’s sat in my writing class. Correct: Three Taylors and two Megans sat in my writing class. 4) The first Taylor smiled when I brought out the book “Elements of Style.” I knew it’d be a good class. Correct: The first Taylor smiled when I brought out the book Elements of Style. I knew it’d be a good class. 5) The guy in the front row peaked my interest when he opened a grammar book with a baby on the front cover. Correct: They guy in the front row piqued my interest when he opened a grammar book with a baby on the front cover. *Disclaimer: I’m by no means perfect at this. I’ll be using The Chicago Manual of Style and Webster’s Dictionary as my sources. The sentences to correct are fictitious. I couldn’t write a whole lot about being a mom until I became one. Now I can describe the sweetness, the all-encompassing love, the occasional heartaches. New lessons help me write at a deeper level about this relatable aspect of women’s lives. I couldn’t write about marriage without first experiencing it. Well, I could, but can you agree there wouldn’t be much depth? Wisdom would be keenly absent from the pages. Whenever we experience a new season in our lives, we’re presented with new opportunities to grow and change and learn. Then, because we’re authors and nothing’s ever wasted on us (*grin*), we can include our newly-gained wisdom in our writing. New lessons can also affect the themes we include in our writing. There are times when God brings certain aspects to the forefront, have you noticed? So, maybe a year ago, I’d have written about one theme, but right now, another is burning inside me, waiting for expression. The great thing is, God is leading us through our seasons and lessons. Then, we can use those nuggets we dig up, incorporating them into richer works of literary art. Well, that’s the hope anyway. Take a moment to consider some lessons God’s recently taught you and how you could include them in your writing. Today we're continuing our series on including spiritual threads in fiction. (Annette here.) This Manuscript Monday, we have guest author (and worship leader extraordinaire), Rachel Hauck. In reading one of her recent books, I enjoyed her depiction of an encounter one of her characters had with God. She's graciously agreed to share her "secrets" with us for including this type of spiritual thread. Welcome, Rachel! One challenge we face as Christian authors is how to write about our God in a real and uncliched way. Christianese often peppers our stories. Church foyer or Bible study conversation sounds stayed and stuffy, even preachy, on the novel page. When I began writing trade paper backs, I quickly learned the language I used to talk about God did not work in my stories. I had to think outside the box. Doesn’t God manifest Himself in ways other than quoting scripture, offering a spontaneous prayer or a preachy monologue. And isn’t that mostly “me” and not God? What were ways God had reached out to me and touched me beyond my logical thoughts and feelings? During a trip to Israel, I smelled the fragrance of the Lord. Since then, I often smell His fragrance. I’ve had the Lord speak to me in dreams. Friends have seen the Lord in person. One of my friends sees into the spirit realm. She’s had feathers fall out of nowhere. I’ve also seen feathers falling inside a building. During one youth retreat, everyone in the room where we gathered saw a light smoke and smelled incense. As much as we often shun the supernatural in Christiandom, it actually works on novel pages. In Georgia On Her Mind, a secondary surfer-dude character sees Jesus when he’s swirling under the ocean during a shark attack. Caroline, in Sweet Caroline, wakes up in the middle of the night with the perfume of the Lord filling her living room. She knows she’s on holy ground. Elle, in Love Starts with Elle, sees feathers falling out of nowhere. Readers wrote me after reading her story telling me of the times they found a feather just when they needed some glimmer of hope from the Lord. In The Sweet By and By, Jade experiences the wind of the Spirit as she confronts a painful part of her past. It’s hard to write about something you’ve never experienced. Ask the Lord to teach you about the supernatural. Ask for your own welfare, not your characters. Our number one goal is to grow in the knowledge of God! Then we have a wealth of understanding to draw from to create our characters. Hang around people who understand and engage the supernatural. My experiences are minimal compared to some of my friends. But I learn from them and draw off their heart. 1. Pray. Ask the Lord to teach you and show you. 2. Don’t write about it if you’ve never experienced it. I’ve read a few novels where I know the author had no knowledge of the supernatural or angelic. Reading scripture teaches what we need to know. Experience makes the knowledge come alive. 3. Don’t overwrite the supernatural. Don’t write it on every page. One or two encounters is enough. No more than five if you’re writing a supernatural thriller. 4. Be creative in your descriptions but don’t give God, or angels or devils weird or code names. It doesn’t feel or read real. 5. After you’ve written your character’s supernatural encounter, read it over and over, cutting a little bit every time. Should be no longer than a page. 6. Be sure to allow your characters to respond and grow from the encounter. A man cannot encounter the living God and not be changed. 7. Pray. Again and again. Rachel's latest book, Dining with Joy is set to release in November. Learn more about Rachel at her Web site. One of the things I appreciate about Kristen Heitzmann’s novels is the fresh prose used throughout her stories. (Dawn here.) I’ve even taken notes to keep on hand for inspiration. I’m very happy that she’s with us today, sharing her journey to publication. Welcome, Kristen! Writers dream of being published, of having their work accepted by a publisher, transformed into a book with a knockout cover, sold into stores, and put into the hands of readers. The point of a story is to be heard, read, received by another, and being published is the most far reaching method available. But do we write in order to be published, or do we write because we’ve been given the ability to create, because, frankly, we can’t stop ourselves? A friend once told me she would write her book when she had a contract. At the time, I hadn’t the faintest idea how to get published. I only knew there were stories bursting from me that wanted out whether anyone ever paid a cent for them or not. We’re all encouraged to pursue goals, but publication isn’t the end in itself, but a reward for pursuing the gift, the art, the craft of writing. It can’t be the only validation of the writer’s purpose, because not all will be published. But God gives us joy in the process. We create because we are in the image and likeness of our Creator. He gives us joy in the process when we surrender the outcome to his perfect will. I started writing novels in 1996 as a home school mother of four. People say, “How did you do it?” but believe me, not doing it was way harder. I need a bumper sticker that says Story Happens. Seriously, for two years my women’s group prayed the stories would quit so I could concentrate on what I was supposed to be doing. Finally one sister said, “You know, maybe that’s what you’re supposed to be doing.” Don’t you love it when the light bulb goes on and you can hear God laughing? So I took him at his word and started writing. I could tell the stories if he handled the business stuff. Publication would have to be a partnership because I had no knowledge or interest in marketing and promoting myself. If God wanted the books out there, I thought he was the perfect one for the job. Have you ever found someone who so completely exceeded your expectations? There’s a lot of rejection in publishing, so I entered the waters expecting an undertow, maybe a riptide or two. I went to a conference and pitched my first novel to acquisitions editors from two houses. They asked for chapters, etc. The first wrote back to say they liked my work but were cutting back for two years. They’d look at it then if it hadn’t sold. The second, Bethany House Publishers, contracted a three book series, and I’ve been writing for the Christian market ever since. The promise I made was to tell what stories I’m given to tell—and leave the rest to God who knows exactly what he intends for me and desires to accomplish it. I wish you all joy in the journey. 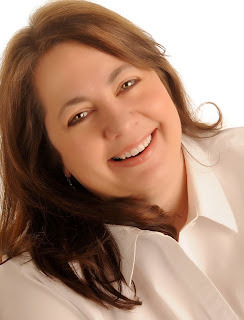 Kristen Heitzmann is the author of eight historical novels and ten contemporary romantic and psychological suspense novels including The Still of Night, nominated for the Colorado Book Award, The Tender Vine, a Christy Award Finalist, and Christy Award winning Secrets. She lives in Colorado with her husband Jim and sundry family members and pets. I think she meant to say, “I’m tired of HAVING to be strong.” Several of her friends, myself included, attempted to post a few encouraging words. The truth—she is a strong woman who has gone through a lot these past few years. She and her husband were active members of my church, and it was devastating when the congregation learned that he was diagnosed with a brain tumor. He died six months later. This woman and her husband were almost inseparable. But he was gone, and her grown son was teaching in another country. As a teacher, she had her own students to focus on, which helped. But she was also forced to learn how to live alone. With her husband no longer at her side, she had to lean on her faith and friends. Time went by. This year she met a man who is now a part of her life. Friends have been happy for her. As she explored a new possible life with him, she decided to attend another church. I think it was just too hard to keep attending worship services in a place where there were so many memories of her husband. The morning following her Facebook post, I went to a local salon and had my nails done. While waiting for the polish to dry, I watched people pass by the picture window facing the sidewalk. So many looked sad, beaten down, or just plain worn out. On my way home that day, I stopped at the post office to mail several large envelopes. A cranky employee snapped at me when I tried to put my debit card through the machine before he wanted me to. I thought, “Really??? You’re going postal on me for such a small thing? You're really having THAT bad of a day? Lighten up!” But I didn’t say a word, and quietly complied with his instructions. The world is full of angry, unhappy, and lonely people. We are to be a light. A ray of sunshine that brings warmth to the hearts of people who struggle with the chill the world often provides. We're to show them there is hope. Help them see where they can find that hope. I’m not a preacher. I’m not a public speaker. Although I won’t say “never,” the chances are that you probably won’t find me on a hill, street corner, or in front of a congregation sharing my faith through spoken word. I share my faith—my relationship with God—through song. I’m a singer. But more so, I’m a writer. I’m able to pen the words in my heart far better than what I ever could speak them. I’m called to write for a reason. YOU’RE called to write for a reason. Be a light . . . even if it’s just for a few in this hurting world. I’m starting a new thing for Wednesdays! I don’t know about you, but I’m passionate about … grammar. Yes, grammar. (My husband thinks I’m loony, but he’s nuts over maps, so what does he know?) My idea of a lovely afternoon is sipping tea and talking about gerunds and adverbial phrases, compound sentences, where to put that comma. Fun! So, we’re going to try out a new format for Wednesdays. Here’s how it’ll work. I’ll put a few sentences up with a number of mistakes in them. Your job is to find the mistakes and correct them! Feel free to post your comments and see if you found all the grammar grenades. Next Wednesday, I’ll put up the answers. Feel free to kindly correct me if you think I’m mistaken! Love grammar like I do? Give it a go! The first sentences to correct. Sure feels like fall here—cooler temps, darker skies, more rain and lots of color on our deciduous trees. Ahhh … autumn. Time to put away the patio furniture, grab the rake and prepare for winter. In summer, we can step outside without a coat or shoes to let our dog out. In fall, we’ll have to keep slip-ons by the back door. In summer, I can grab a book, a lawn chair, and my sunglasses and read in the sunshine, soaking up some Vitamin D. In fall, all the reading happens indoors. In summer, the kids are home from school, with an open schedule. Near the beginning of fall, they start back to school, have to stick to a schedule and more is expected of them by outside sources. New seasons call for new actions, new approaches to familiar territory, and visiting of new territory. New seasons call us to answer to different authority figures, meet different deadlines, change our schedules. Isn’t that true in our writing seasons, too? Some writing seasons are for “penning” that first draft. Others are for editing. And then others are for submitting. Then, *hopefully* there comes a season of answering to an editor for your book. What used to be yours is now shared. 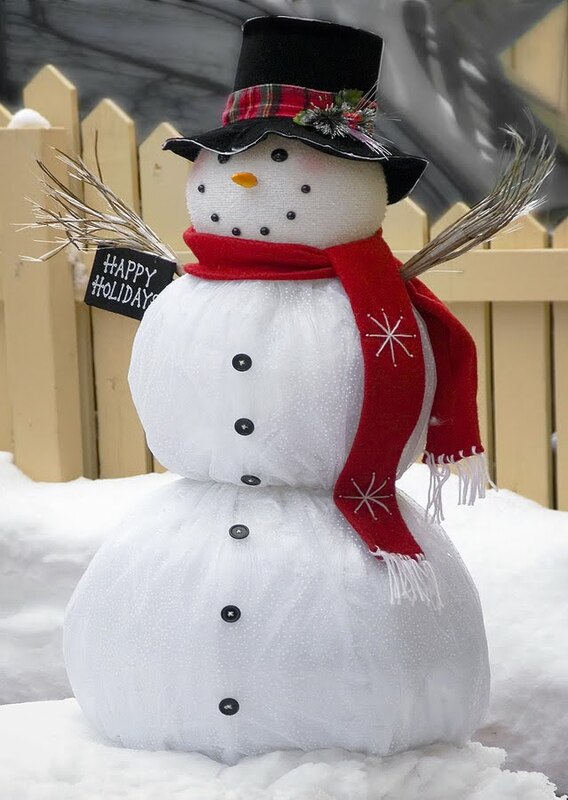 Are you aware of the season you’re in? Maybe you’re a parent of small children, and the focus is on them. Maybe you’ve started a new job and are still adjusting to fitting everything into your schedule. The key is to know the season you’re in, make the appropriate changes for that season and follow through. 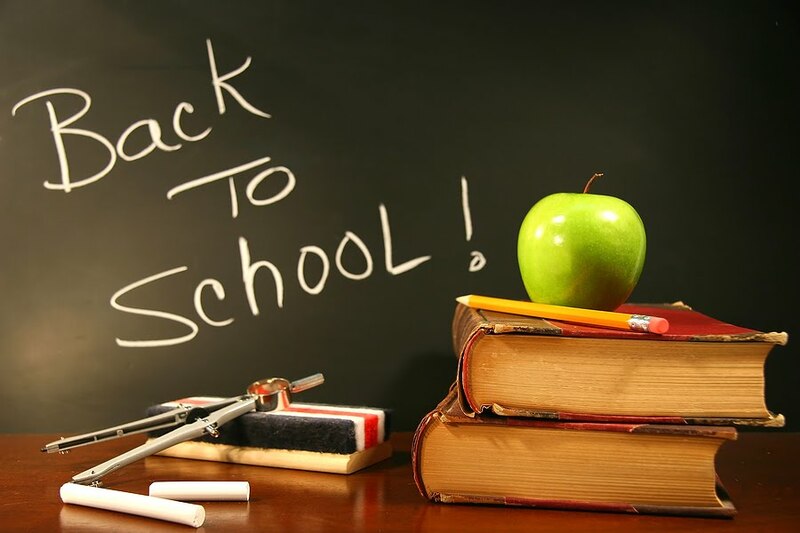 A student can be all prepared for the school year, but if she never attends classes, never sits under the teaching, never studies, she’s not truly engaged in her season, and she won’t reap the benefits of all her preparation. God may be turning the pages of your writing season right now. Are you on the same page as He is? Be glad for new seasons, they mean you’re growing, moving ahead. Now, go ahead, peek at that new page the Author of your faith is penning. Together, start at the top and work your way down. It's going to be good. This Manuscript Monday, we're beginning a new series about including faith elements in our writing. It's tricky, so wouldn't it be great to have some advice? For this series, we'll hear from some pros on how to include spiritual elements professionally. Kicking things off is author MaryLu Tyndall who writes historicals for Barbour. One of the elements I noticed that sets her writing apart is her ability to include elements of spiritual warfare in a genre which traditionally didn't include them much—romance. She's here today to share some advice with us. Welcome, MaryLu! One of the main things that sets my historical romance novels apart from others is that I incorporate some element of spiritual warfare in each of my books. Let’s face it, when you think of historical romance novels, you don’t exactly think about demons and spiritual battles, Ted Dekker and Frank Peretti’s books, maybe. But romance? For example, in my very first book, The Redemption, Satan appears in the form of a black crow that harasses the heroine on more than one occasion, attempting to frighten her and distract her from seeking God’s salvation. In The Reliance, the heroine calls down lightning from heaven to disrupt a mutiny on her ship which would have certainly ended in her death. In The Red Siren, my characters are confronted with a band of warlocks who are attempting to cast a spell on the heroine’s sister. The hero rebukes them in the name of Jesus and sends them fleeing. In The Blue Enchantress, a woman is delivered of demons. In The Raven Saint, the heroine must deal with a Satanic Voodoo curse put on another character. The question is, how do you incorporate this type of spiritual warfare without it seeming too unbelievable, too weird, and too silly? Here are some suggestions that may help you. The spiritual battles should not solve the main struggles of the hero and heroine. In other words, don’t use miracles as a bandage to plug a hole in your plot. That’s when your readers will shake their heads in disbelief and put your book down. Along those lines, however, you can certainly use a miracle or a spiritual battle to rescue your hero or heroine out of a dangerous situation. These type of events happened all the time in the Bible. Don’t use spiritual battle as the only thing that convinces your unbelieving characters that God exists. It can certainly be a main factor, but there should be other things, such as witnessing godly character in others and seeing lives transformed, that convince the character that God loves him or her. The spiritual battle should be a natural part of the story, not just some crazy scene thrown in for entertainment. It should morph naturally out of one of the story themes or plot lines. Most importantly, you should educate yourself on spiritual warfare. (And not just for writing. This is something we Christians need to understand and be ready to use!) Read books on demons and deliverance. Read books on other Christians’ experiences in spiritual battle. Read the Bible and see how Jesus and His apostles battled the forces of darkness. Recall in your own walk with God the times that you’ve personally done battle. The best writing comes out of personal experience. Finally, taking all the things above into account, when you are developing your character arcs and plotting how your characters will grow and change, decide where and when to incorporate a miracle or a spiritual battle as part of their natural growth. Then keep that event in mind as you begin writing and how it will affect your story and all of the characters involved. Then it will seem more naturally a part of the story. Just like in real life when God comes through big time as He so often does in our own lives! Author Elizabeth Ludwig is here this Fortifying Friday to share her journey to publication. If you’re not published and are struggling to acquire that elusive contract, you’ll be encouraged. Many of you who are published will be able to relate to her story. Enjoy! I got the author copies of my third published novel in the mail recently. While it was different from the first novel, it was still quite a feeling. I was immediately swept back to the tears, trials, and triumphs—and I knew my dream of writing was realized. But it’s not only the tears and trials I want to talk to you about today, it’s also the triumphs. You see, I like many other struggling authors, wasted months and years thinking there was only one triumph—publication. I missed so many opportunities for rejoicing in what God was doing through the trials. I first started writing in 2001. I’d written before that, but never with the singular goal of actually becoming published, so for all intents and purposes, we’ll start there. I wrote my first manuscript, sent it off to be published, and was heartily disappointed when it came back to me rejected. I must be doing something wrong, I thought to myself, and promptly revised my cover letter. It wasn’t until I joined a writer’s group and began learning the CRAFT of writing that I realized it wasn’t my letter that needed revising. So, armed with the understanding that I had much to learn, I began attending writer’s conferences. With each passing year, I saw my skill grow. With each passing year, my collection of rejections also grew. I entered what I recall fondly, now, as the desert years. The desert years were a lonely, desperate time of self-pity and despair. How I wish I had realized then the presence of God in my life. With every tear I wept, He gently and lovingly molded me. Like a potter using water to make the clay pliable, God used my tears to soften and shape me. I’ll never forget the moment the realization hit that nothing, not a moment of time in my long and difficult publishing journey had been wasted. Karen Ball once said at a conference I attended, “Don’t be so focused on the goal that you miss the journey.” (Paraphrased). Suddenly, I realized that was exactly what I’d been doing. My goal was publication. Only that. Not the knowledge to be gained along the way, or the friendships forged in adversity. I missed the fleeting opportunities God had prepared to comfort me, and for me to give comfort. Like a darkened landscape exposed by a shaft of lightening, my life suddenly became visible, and I became determined to ENJOY the writing journey God had set me on. What a good decision I made that day. All things are safe in God’s hands, including my hopes and dreams. Once I’d been broken enough to turn it all over to Him, He was able to direct my path. There were still countless rejections to follow, mind you, but none of them ever cast me into despair the way the first ones had. Instead, I saw them as challenges to face, more difficulties to be overcome. Always, my Lord stood beside me, leading me, fighting my battles. My hope for you, dear author, as you read this, is that you will be encouraged in the midst of your desert—that you will see the promise that is yet far off, and be inclined to wait for it. Our God is faithful, and He has great and mighty things to teach you. May it always be our goal to accept whatever comes from His hand. Elizabeth Ludwig’s first novel, Where the Truth Lies, which she co-authored with Janelle Mowery, was released in spring of 2008 from Heartsong Presents: Mysteries, an imprint of Barbour Publishing. This was followed in 2009 by “I’ll Be Home for Christmas,” part of a Christmas anthology collection called Christmas Homecoming, also from Barbour Publishing. 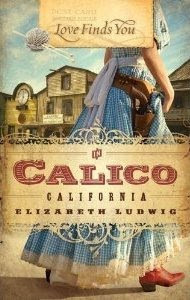 In 2010, her first full-length historical novel Love Finds You in Calico, California was released from Summerside Press. Books two and three of Elizabeth’s mystery series, Died in the Wool, and A Black Die Affair, respectively, are slated for release in 2011 from Barbour Publishing. In 2008, Elizabeth was named the IWA Writer of the Year for her work on Where the Truth Lies. She is the owner and editor of the popular literary blog, The Borrowed Book, and she is an accomplished speaker and dramatist, having performed before audiences of 1500 and more. She works fulltime, and currently lives with her husband and two children in Texas.